💥 Best Vegan Food Traders in London! 💥 Food, Drink, Artisan, Beauty, Clothing and Fashion! 💥 Live Music, Swap Shop, Upcycling and more! Over 40 independent traders will be supplying vegan, sustainable & ethical goodies including everything from Food, Drink, Beauty, Clothing, Fashion, Upcycling, Condiments, Bread, Cheese, Crafts the lot! We will also have live performances from local bands and artists! Directly opposite Hackney Central station. Two avenues of access: Hackney Central station and Morning Lane which houses the Hackney Haute Quarter featuring such stores as Burberry, Nike, Joseph and Pringle. Bohemia Place itself has one of Hackney’s coolest music venues, Night Tales, with an indoor and outdoor seating area as well as the award winning ABQ London “Breaking Bad” Cocktail Experience and St. Johns at Hackney Brewery. After the success of the Hackney Christmas Market we’re offering a range of summer events, with the Vegan Village up next! One of the core aims of the market is to fit within the local community. Our aim is to have at least 25% local traders and businesses involved. Some will be given free pitches if they have charitable elements. There will also be a clothes bank drop for warm coats and clothing for the homeless and also facilities to donate to the local Soup Kitchen. We are working in partnership with Plant Based Events Co to bring you something special, something the whole community can get behind, whether you’re vegan or not! We are also working in partnership with some of Hackney’s coolest venues including Night Tales, a venue / restaurant with an indoor and outdoor seating area, the award-winning ABQ London “Breaking Bad” Cocktail Experience as well as St. Johns at Hackney Brewery who will all be providing festive food, drink, and immersive entertainment in the form of performers, musicians, and DJs with festive production. The Vegan Village Hackney Weekender is being brought to you by The Arcane Emporium & Plant Based Events Co, which is a collaboration between The Arcane Agency, Pack London and Garmhaus which draws on many years of experience marketing mass capacity events, experiences and running independent markets. 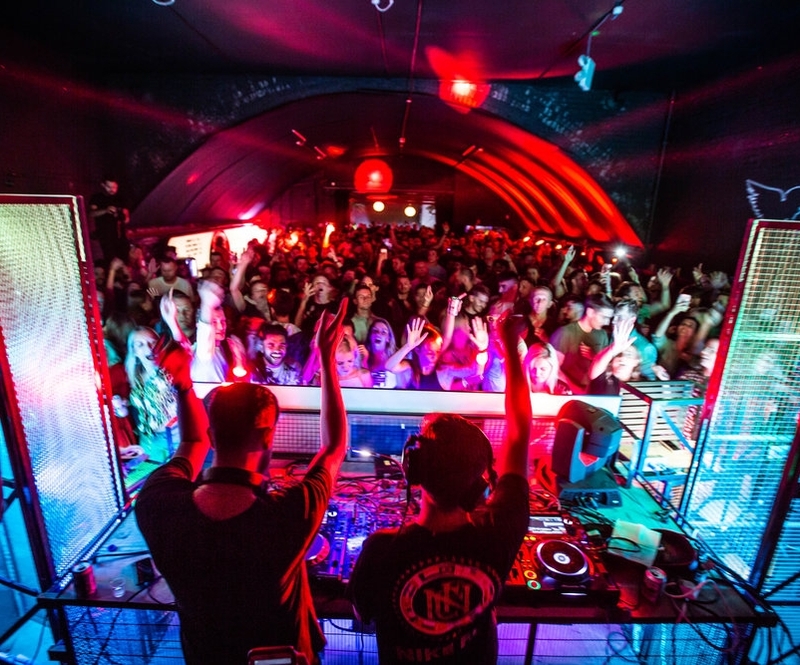 Our previous projects include the hugely successful Brixton Rooftop - winner of DesignMyNight’s “Pop-Up of The Year” 2016 and 2017 and Outlook and Dimensions Festivals, Croatia winning "best International Festival" 2 years in a row. Garmhaus have been running vintage fairs and markets in London and Leeds for the last 3 years, developing a cult following of brand advocates always itching for the next event. One of the core aims of the market is to fit within the local community. Our aim is to have at least 25% local traders and businesses involved. There will also be a clothes bank drop for warm coats and clothing for the homeless and also facilities to donate to the local Soup Kitchen.